Welcome to Yixing! 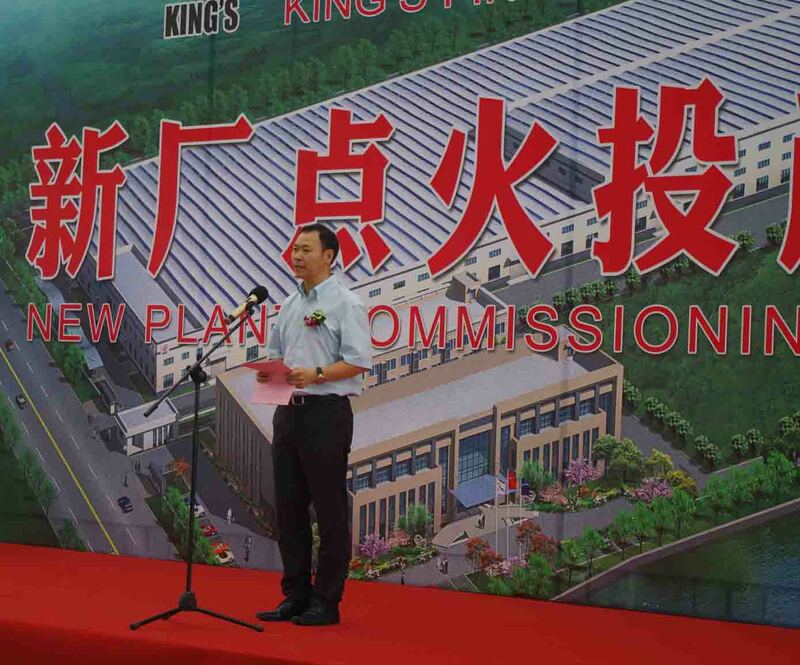 Thank you very much to you all, and especially to the guests who traveled thousands of miles to attend this commissioning ceremony of our new plant! There is a Chinese saying “It is always a great pleasure to have friends coming from afar.” In this beautiful early summer, we are highly honored to have distinguished guests coming from over ten countries to witness this exciting and memorable moment with us. From the year 2013 when I signed the relocation agreement with government, to today’s new plant commissioning, we have been through three years’ hard and tough times. As time goes by, these difficult times become more and more precious and memorable in our heart. This just shows that “Fulfillment of dreams can only be accomplished in the way of adhering to your first dream and original faith no matter how hard is the road that you choose.